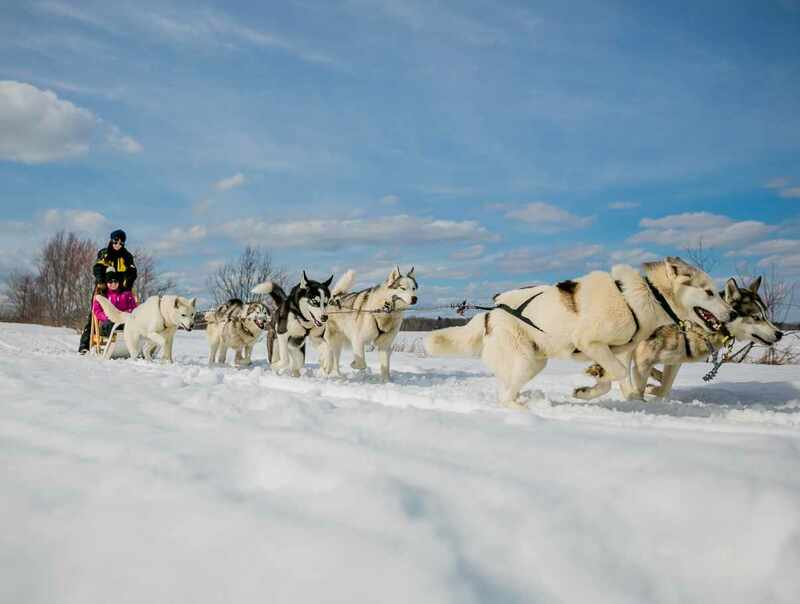 Dogsledding is one of the best ways to get the most out of winter on Île d’Orléans. The dogs will pull you along the trails they know so well. If you wish, you may also drive your own dogsled. Your guides will explain how handle a dogsled before you set out and accompany you the entire time. Our trails have been designed with the safety of beginners in mind: there are no sharp turns or steep hills. Outings of 1, 1½ or 2 hours are available.